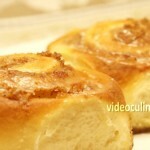 Iced cinnamon filled sweet dough rolls, also known as cinnamon buns, are common breakfast pastries. 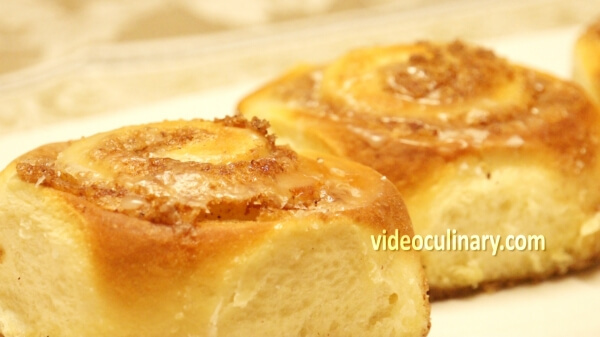 Making homemade, soft and aromatic cinnamon rolls is a great way to start the day, and your family will be excited to wake up to such a delicious treat. Sift 700 grams (25 oz) of flour into a mixing bowl. Add 10 grams of salt, 70 grams (2.5 oz) of sugar and 10 grams (2 teaspoons) of yeast. Mixing on low speed, add 2 eggs, 250 ml (8.5 fl oz) of room temperature milk and 70 grams (2.5 oz) of soft butter. 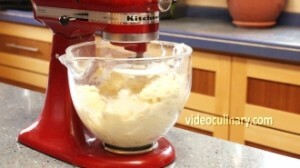 Mix for 8 minutes, until the dough is smooth and elastic. Shape into a round, cover with plastic wrap and let rise for an hour- an hour and a half. The dough should double in size. Make the cinnamon filling: Mix together 150 grams (5.5 oz) of soft butter and 150 grams (5.5 oz) of brown sugar (or white sugar), 15 grams (1 tablespoon) of ground cinnamon and 1 egg. Mix on medium speed with the paddle attachment until smooth, scraping down the bowl once or twice. Add 20 grams(2/3 oz) of flour and mix until smooth. 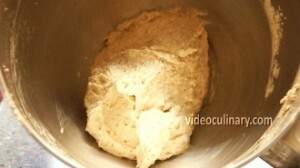 Spread the dough onto a lightly floured working surface, and roll into a 30×50 cm (12×20 inch) rectangle. Spread the cinnamon filling over the dough. 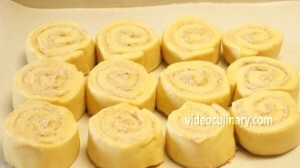 Starting from the long side, roll the dough into a roulade. Cut into 12 equal pieces. Place them on a sheet tray lined with parchment paper close together, cut side up. Let rise until doubled in size, an hour to an hour and a half. Bake at 180°C (350°F) until golden brown, about 25 minutes. Make the icing. 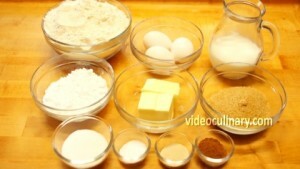 Mix together 150 grams (5.5 oz) of powdered sugar with 30 ml (1 fl oz) of water until a smooth glaze forms. 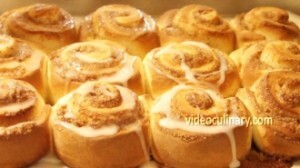 Drizzle the warm cinnamon rolls with the icing, cool to room temperature and serve. You might like Danish pastry rolls, baklava and other delicious pastry recipes.